1 How to install PicOS on the Edgecore AS4600-54T switch? This application note describes the upgrade procedure of PicOS installed on the Edgecore AS4600-54T switch. Typical bare-metal switches usually come with 2GB or more of NAND Flash storage. 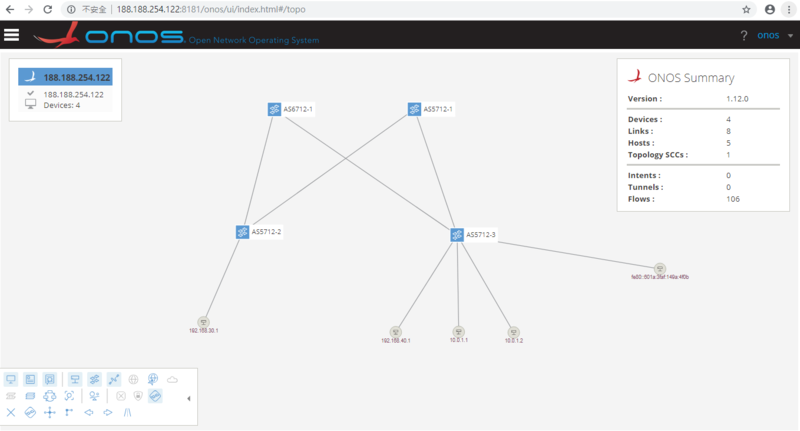 In these switches, PicOS creates two repositories, namely the PicOS Repository and the Recovery Repository. The Recovery Repository is required for the automated system upgrade process. Usually, the PicOS Repository takes around 1GB and Recovery Repository requires around 600MB. The Edgecore AS4600-54T is a special case of bare-metal switch; it comes with limited NAND Flash storage since it was an early design. With only 1GB of NAND Flash, the AS4600-54T only has space to install the PicOS Repository, but no space for the Recovery Repository. Even though PicOS can be installed and operated on the AS4600-54T, users will encounter issues when they try to upgrade the system image because of the missing Recovery Repository. 2. Using an additional USB repository. 1. Set up an environment on a remote FTP or TFTP server. 2. Log in to the switch and copy the configuration files under /picos to the remote FTP or TFTP server. 3. Also copy any user data files. 4. Reboot the switch and log in to ONIE. 6. Please pay attention to the PicOS installer question that asks for deleting the partitions, it will erase all existing data in the partitions. The PicOS installer will stop if your answer is “no,” or if there is no answer for a while. 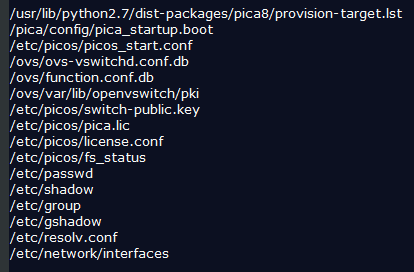 Answer “yes” to continue to install PicOS. 7. Log in to the switch and copy the configuration files and user data from the remote FTP or TFTP server back to /picos. The following configuration files need to be copied and re-installed. The AS4600-54T has a USB port that can accept most USB sticks as the secondary storage. Users can take the following steps after plugging in a USB stick. 1. Log in to the switch and run ‘blkid’ to identify the current USB stick. 3. If the USB is new, the partition ‘/etc/sdb1/’ needs to be created. If there is no partition, use fdisk /dev/sdb and then press ‘n’ to add a new partition. 4. 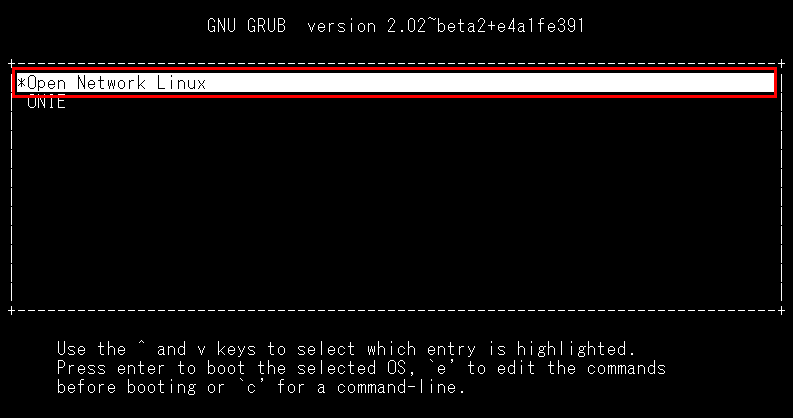 Under the Linux prompt, set the label name of the USB stick to PICOS-BAK. 5. Run ‘blkid’ to identify the current SSD again. The label name of the USB stick will change to PICOS-BAK. 6. Now PicOS should be able to recognize the additional disk space. Check the file /etc/picos/fs_status. Make sure the secondary status is undefined. 7. Reboot the switch and check /etc/picos/fs_status. Prior to 2.6.4, users need to also change the file /etc/functions_hw to enable the USB upgrade on the AS4600-54T. This procedure can be waived after 2.6.5 where the software is enhanced to handle this limitation. Edgecore Networks is committed to offering its customers the best networking solutions available on the market today. We have recently become aware of an issue with a component Exhibiting Clock -Signal Issue that may lead to a system failure. In most cases, switches will perform normally and may never experience a failure. The switches that are affected include AS5712-54X, AS5812-54X, AS5812-54T, AS6712-32X, AS6812-32X and AS7712-32X. 1. Edgecore Networks has crossed referenced all RMA reports, but has not seen any failures related to the supplied component clock-signal issue. 2. Edgecore Networks is conducting and will continue conducting ongoing internal testing and simulation. So far, no clock failure has been found. We will continue with our internal testing and update our customers with our findings, if any and accordingly. 3. Based on information that the chipset vendor has provided to us, thus far, the chances of failure is low. 4. We believe it only (or may) happen after non-stop running for many months; ~ 18 + months. 5. All Edgecore Data Center Open Networking Switches have a 3-year warranty. As always, Edgecore Networks will take full responsibility if our product has an issue, and we will also offer free advanced RMA service with expedited shipment for any product that has the related clock-signal failure issue. 3 How to install the Open Network Linux on Edgecore switch (For x86 CPU only, Exclude AS5710 series and AS4610 series)? How to install the Open Network Linux on Edgecore switch (For x86 CPU only, Exclude AS5710 series and AS4610 series)? 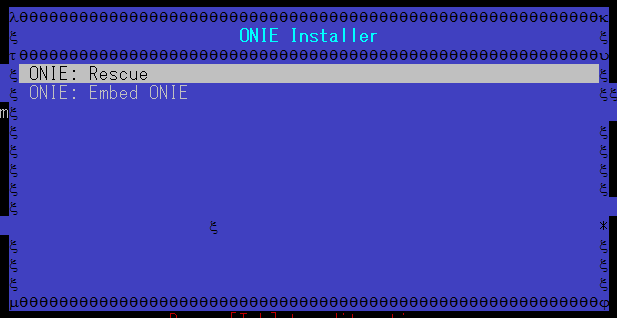 Booting the switch, then choose “ONIE: Install OS”. You will get into ONIE. When you get into ONIE, the system will print the messages by itself all the time. Those messages means the device is searching for the information. Below are the information which the device is searching for. You can stop the searching by this command. 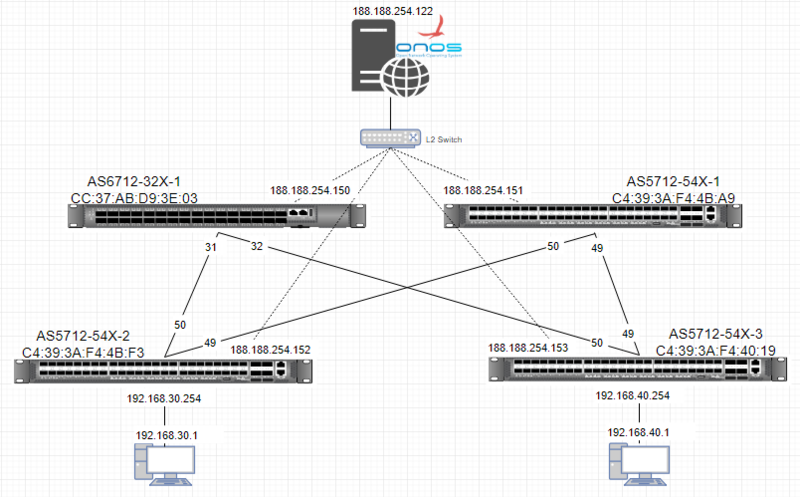 Here’s the way to set the management port IP. Open the TFTP Server, and then upload the file to the switch. After uploading, the switch will install the ONL by itself. After installing, the switch will reboot by itself. Please choose the Open Network Linux. Here’s the way to login. Specify the controller IP on "/etc/ofagent/ofagent.conf"
Some dependencies need to be installed for a fresh Ubuntu. 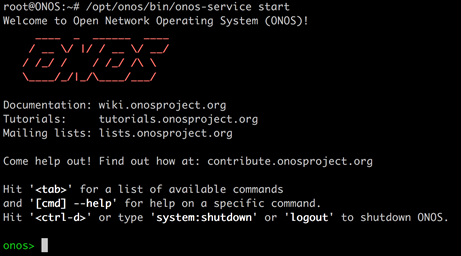 Rename the extracted directory to "onos"
#Now the ONOS controller is running and you will see the CLI of ONOS controller. #ONOS needs time to bring up all the applications, therefore, it will not show the all apps immediately. #Open a new SSH session to connect to the server. #You can refer to the slides to understand how to configure json file via below link. #188.188.254.122 is ONOS controller's IP. #If everything is correct, then there will have no any message printed to the terminal. #The default username and password is onos / rocks. 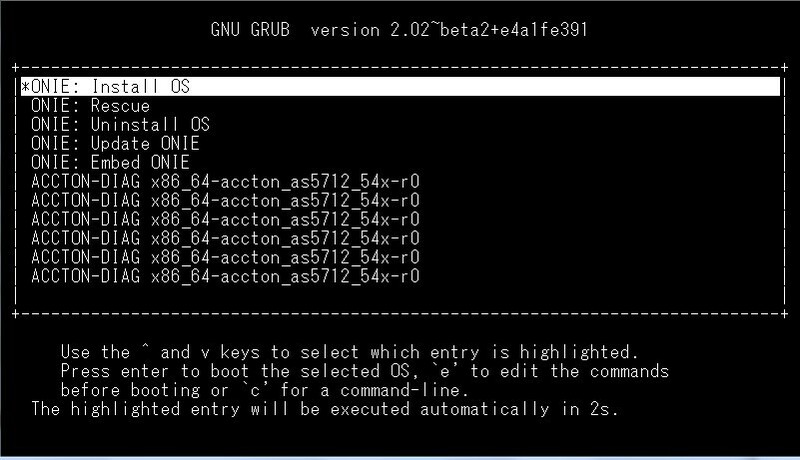 Some basic commands on ONOS for checking status. This application note describes procedures that how to check Hardware ID in all Edgecore datacenter switch platforms which is installed PicOS. ◆ How to install PicOS license in Edgecore platforms. User has to get hardware ID available to download a license from Edgecore. Use the command license -s to check if the license has been installed or not. 1) Download license file and copy it to the /etc/picos/ directory. 3) Run ‘sudo license –s’ to check the status of license. 6 How to check Wedge100BF hardware information under OpenBMC? This document shows how to find and use some functions under openBMC to check the hardware information. 2. btools.py : show PSU info. / show Temperature etc. PS. To find the location of known function, use the command "which". 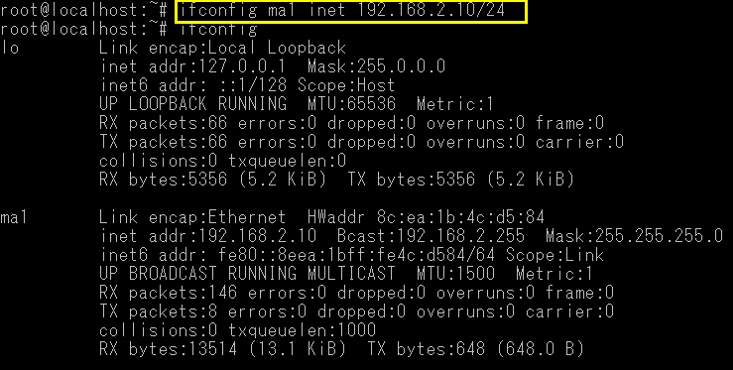 Before running the OpenNSL, ping from 192.168.1.1 to 192.168.1.2 will fail. Here’s the steps to install the OpenNSL. Prepare the FTP server, and connect to the management port of the switch. Ping Server to make sure the switch could contact to the FTP server. Step 2: Upload the OpenNSL’s package to the switch. Here’s the way to download the file from FTP server. wget ftp://username:password@FTP server IP/file name. 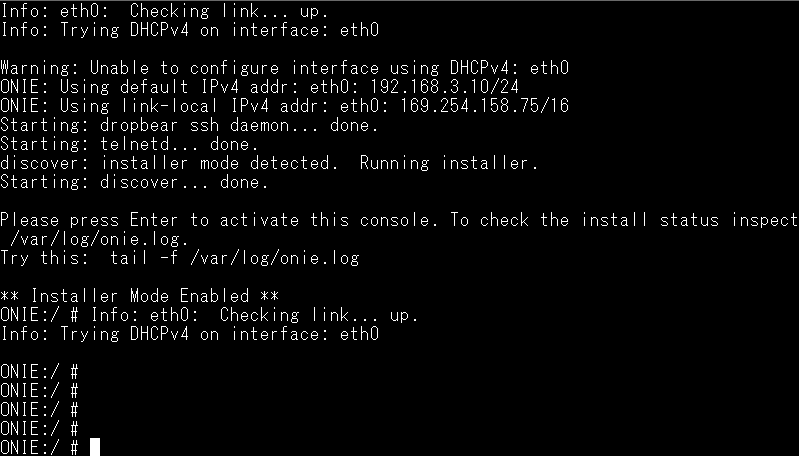 Step 3: Install the OpenNSL. Note: before running the script, please run this command first, or you will fail to run the script. If you forget to run that command (opennsl_setup), the window will pop-out as below. You will see the menu as below, which means the switch can do the packet forward. Ping from 192.168.1.1 to 192.168.1.2. 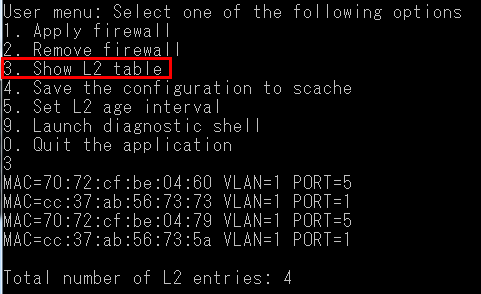 And you could choose 3 (show L2 table) to check the MAC table. 8 How to recover ONIE in Edgecore X86 platform switches: AS5712-54X, AS6712-32X, AS7712-32X? Step 1: Use a tool, e.g. 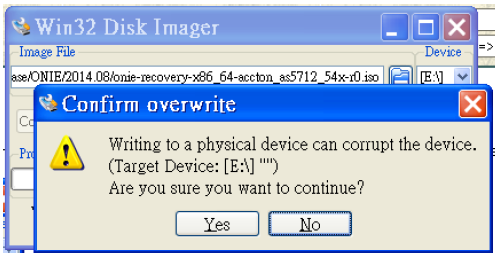 Win32 Disk Imager for writing ONIE recovery ISO image to USB drive. In the "Image File" area, please choose the xxxxx.iso which is provided by Edgecore. Press the "Write" button. Step 2: Press the “Yes” button to continue. Please note that all the data in the USB drive will be erased. a. Plug in the USB drive in the box (AS5712/AS6712/AS7712). b. Power on switch, and then press to enter BIOS. c. In the BIOS menu under the Boot submenu choose the USB drive as boot option #1. 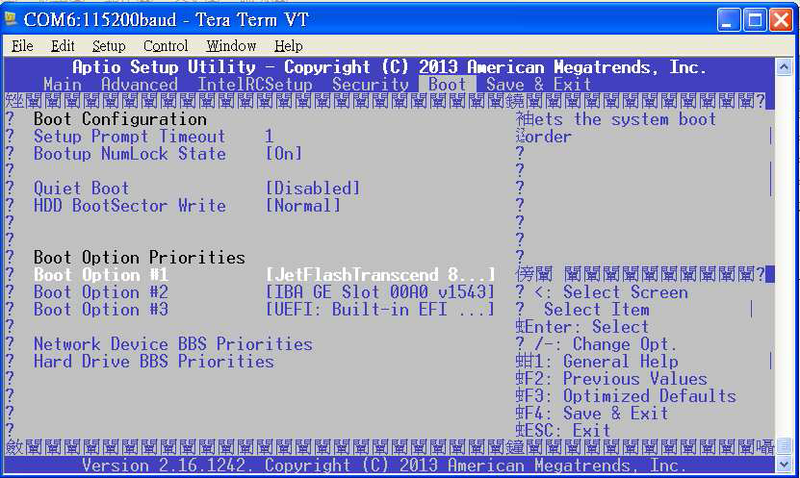 Note: User needs to enter the "Hard Drive BBS Priorities" to choose the USB drive as option #1 first. 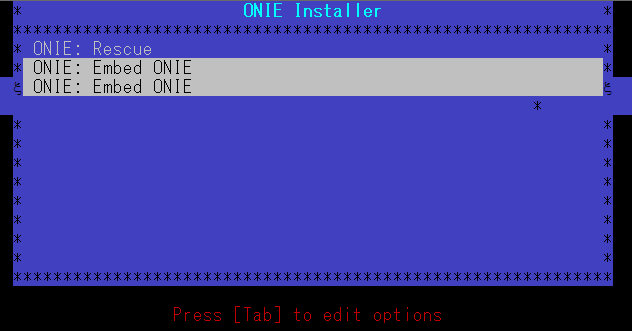 Step 4: The ONIE Installer screen will pop up, choose the "ONIE Rescue". System will start ONIE Rescue mode. 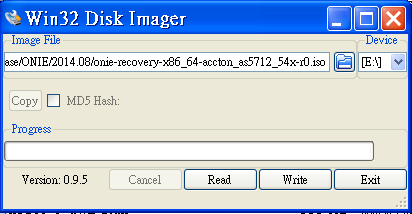 Step 5: Run following command to erase flash, and make sure the message as following diagram. Note:Please make sure the /dev/sdb is the flash but not recover USB drive. Step 6: Reboot system and then following Step 3 to wait ONIE Installer screen prompt. Step 7: Choose the "ONIE: Embed ONIE". 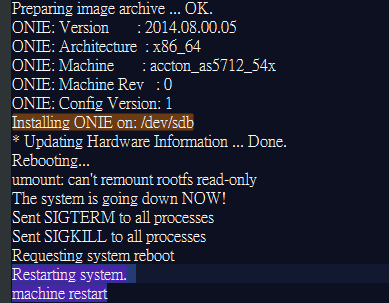 System is going to starting to install ONIE. Step 8: Quickly remove the USB drive while the system is rebooting, otherwise system will boot from USB drive again. Note: User can follow step 3 to reset the boot menu. Step 9: ONIE is recovered as following diagram.